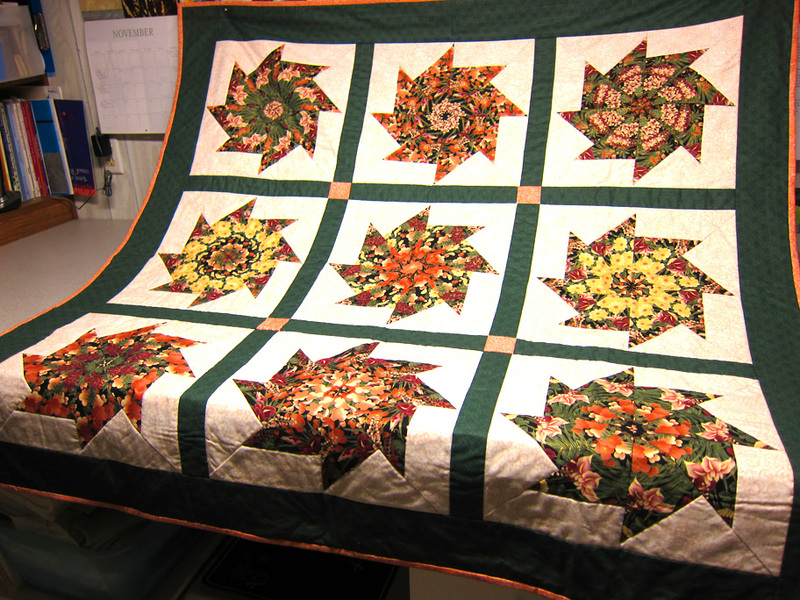 It has been a couple of years since I sent a quilt to the Sisters Outdoor Quilt Show, but since I am going again this year - 2016- I wanted the fun of seeing two of my quilts on display and up for sale. I really love fall and trees and have since made another one like this to keep and I also made a smaller version. 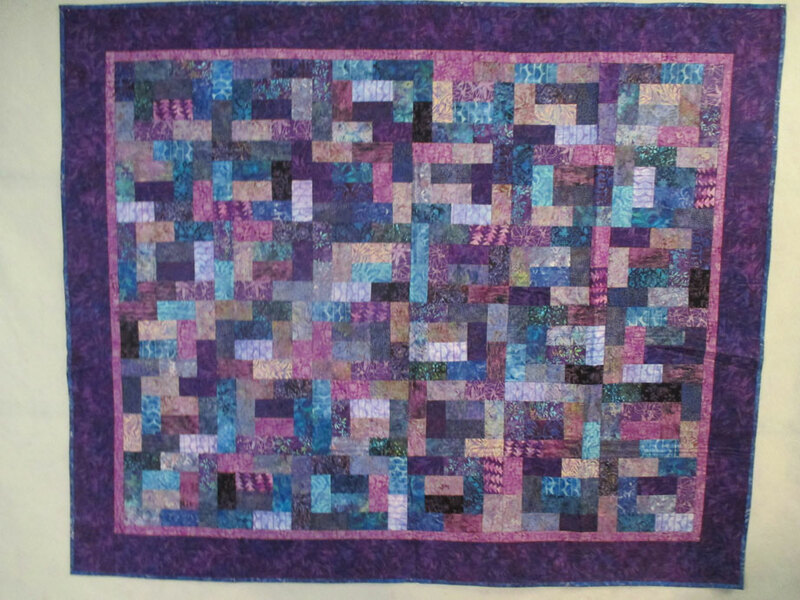 In this quilt which I titled Hidden Path, can you find the path? 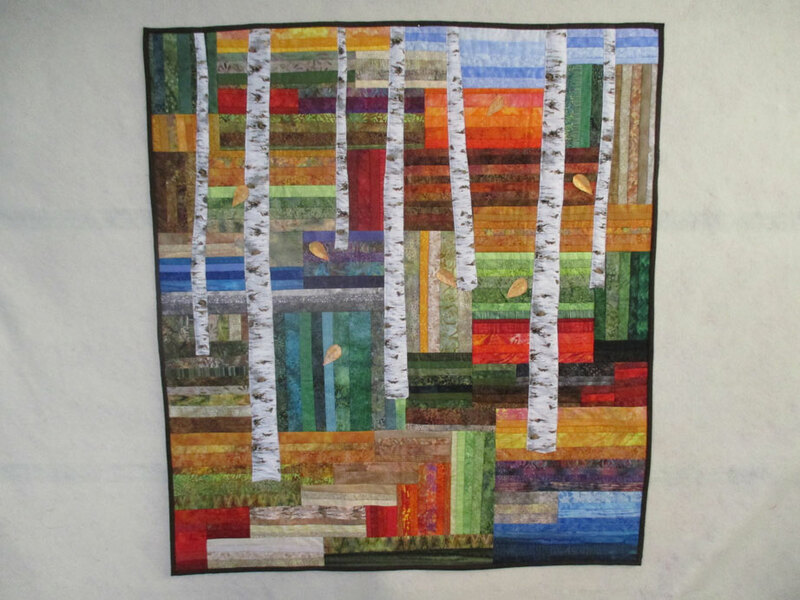 This quilt is going to the show along with the above quilt. It was made with a jelly roll. 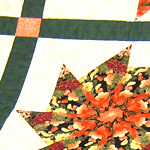 I liked all the movement in the quilt. 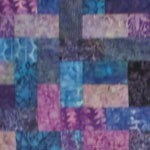 At the lower end of each fabric strip hangs a coordinating chain of beads. 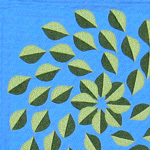 The pattern for this quilt is in Carol Nartowicz’s Teach Yourself Cut & Fold Quilting. 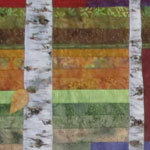 This quilt is went out this past summer - 2012 - to the quilt show in Sisters, Oregon to be sold. For the first time is over thirty years, it started to rain around 2:30 in the afternoon. There was a big rush to get the quilts down and inside. 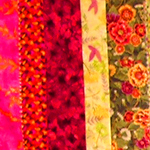 As a result a lot fewer quilts were sold. My quilt is back home waiting for another chance.